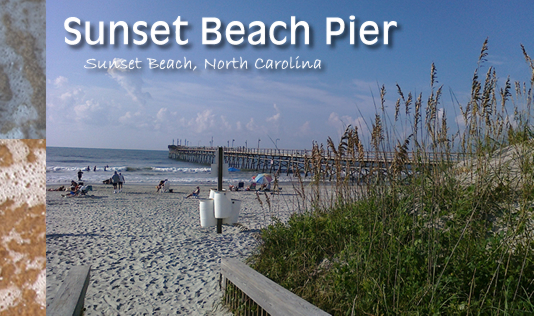 The Sunset Beach Pier was originally built in June of 1960. It was rebuilt at its current location in 1976 over a sunken Blockade Runner named the Vesta. In 1864 the Vesta was set on fire in 10 feet of water. Many of the supplies were unloaded and the boat was abandoned on what was later to become sunset beach island. The vesta was 34' wide and 180' long and sat parallel to the beach (east and west). When the first pier was built they left a wide opening and you could look thru the planks and see the boiler. Today, because so much sand has accreted, it is totally submerged. 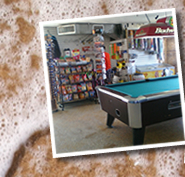 Take our enjoyable and informative pier walking tour. Admission is only $1.00. The tour will provide you with information about the island’s inception, a number of the island's permanent residents, a history of the “storms” which affected the area, information about the previous site of the pier building, dates and pictures of the past bridges and more. As you exit the walking tour, you will see a placard marking the Vesta's resting place. Also, while on the pier, you are welcome to use our “clean” restrooms. 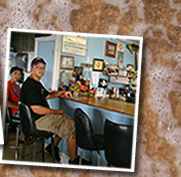 Learn more about the History of Sunset Beach here. 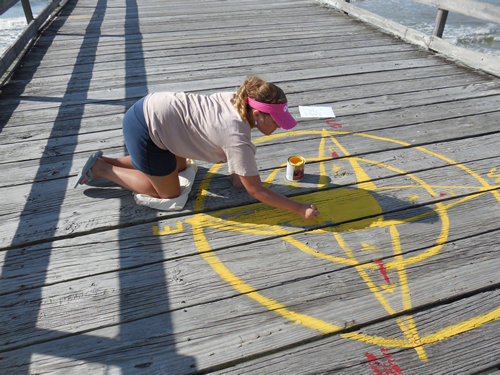 The hand painted compass rose you'll see while walking the pier shows just how unique the orientation of Sunset Beach is. A stroll to the end of our pier will have you facing south. The beach runs east to west allowing for our beautiful sunsets. Mouse over the image to see the finished work.